This regularly-scheduled sponsored column is written by the Arlington Initiative to Rethink Energy team (AIRE). This county program helps you make smart energy decisions that save you money and leaves a lighter footprint on the environment. Got a question? Email us at [email protected]! Tuesday marks the official start to school here in Arlington for teachers and students. Schools, sustainability, and learning go hand in hand. We want to celebrate APS’s commitment to sustainability and this new school year with a few energy fun facts. How many of these did you know? Arlington built a Net Zero Energy school. That means that the building creates as much energy as it uses in a year. No joke! 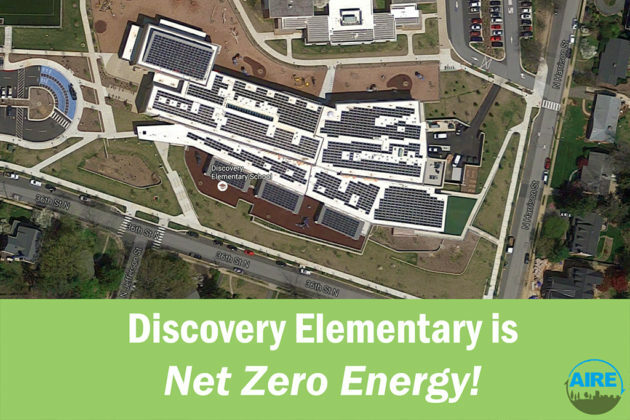 Discovery Elementary is very energy efficient and has rooftop solar to generate electricity. Energy is learning. 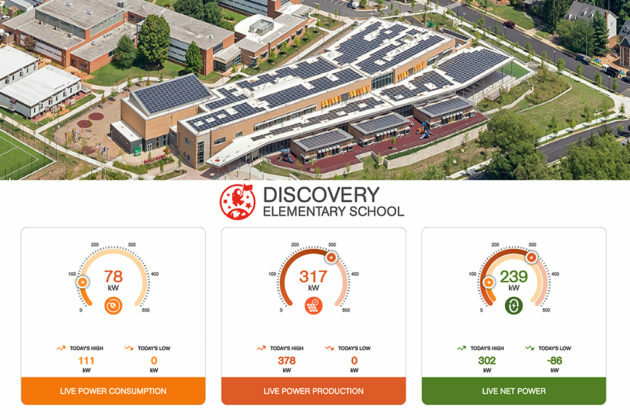 Discover Elementary has an online energy dashboard that shows real-time energy generation of the solar array and building energy use, and is used as a learning tool. 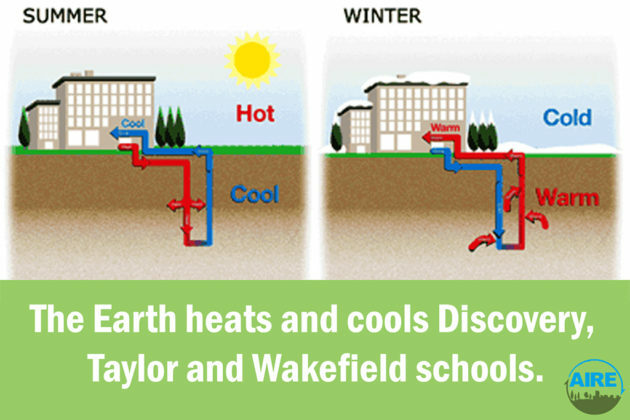 The Earth heats and cools Discovery, Wakefield and Taylor. Geothermal wells drilled hundreds of feet into the ground use the Earth’s constant temperature to reduce heating and cooling costs. 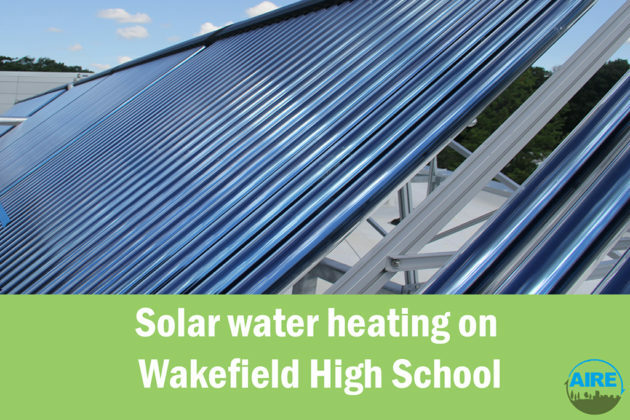 Wakefield water is heated by the sun. Solar thermal panels on the roof heat water for school use. Feel the sun’s warmth the next time you wash your hands at Wakefield. 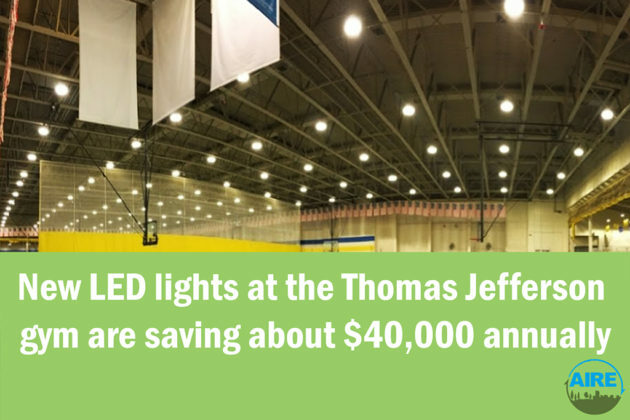 New LED lights shine brightly in the Thomas Jefferson Gym. Next time you are at the TJ gymnasium, look up. The new LED lights save about $45,000 annually and will have a payback of less than 4 years. 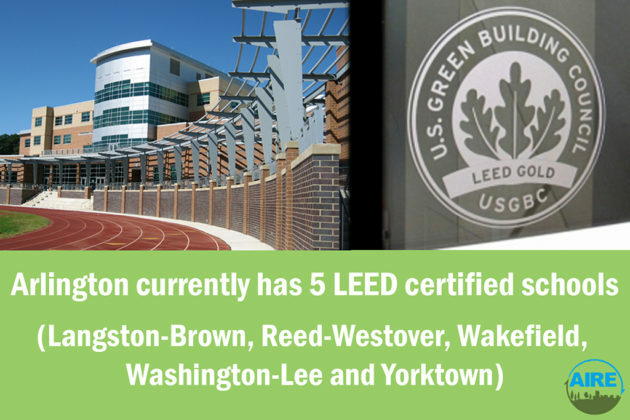 Arlington currently has 5 LEED certified schools (Langston-Brown, Reed-Westover, Wakefield, Washington-Lee and Yorktown). LEED Schools are more energy and water efficient, and create healthy environments for learning. Every high school in Arlington is LEED certified. 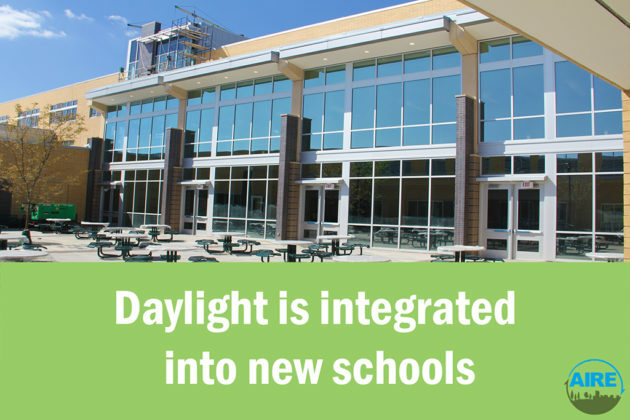 Daylight is thoughtfully integrated into new schools. Daylight in classrooms saves energy. Daylight in classrooms has also been shown to improve test scores and reduce off-task behavior. White roofs and vegetated roofs create cooler school environments. 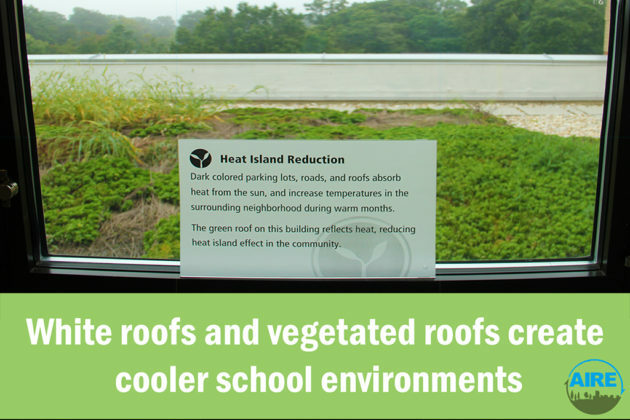 Many schools feature environmentally responsible “cool” roofs. Think about the temperature difference of an asphalt parking lot and grassy field. 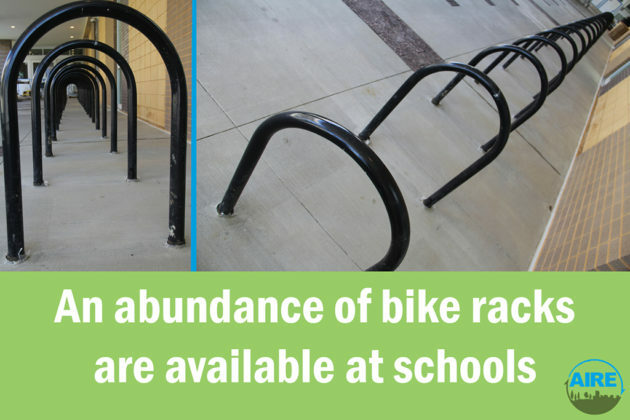 An abundance of bike racks available at schools. Bike racks aren’t new, but the number of covered bike racks has increased significantly. Biking to school reduces transportation energy use and is great exercise. 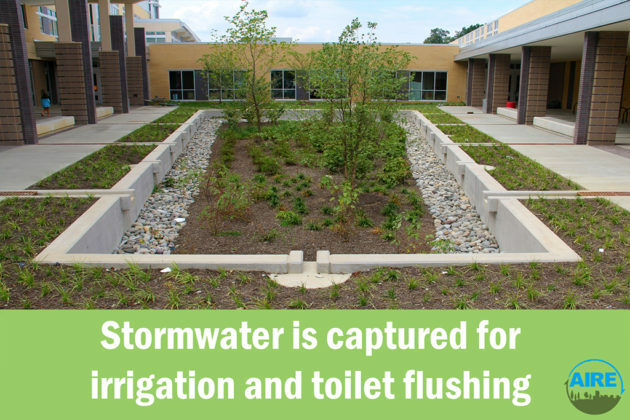 Stormwater is captured for irrigation and toilet flushing. Have you noticed the large planted area at Wakefield’s front door? This area captures roof rainwater which is filtered and stored for use in toilet flushing and field irrigation. This saves water and reduces that amount of energy used to treat and pump water for school use. BYOWB — Bring Your Own Water Bottle. New water bottle filling stations minimize the need for single-use water bottles and reduce the energy needed to produce and transport bottled water. Welcome back. Have a great year students and teachers!